Come join us for 6 Monday evenings… with a relaxed & friendly atmosphere, coffee & cake and good conversation. 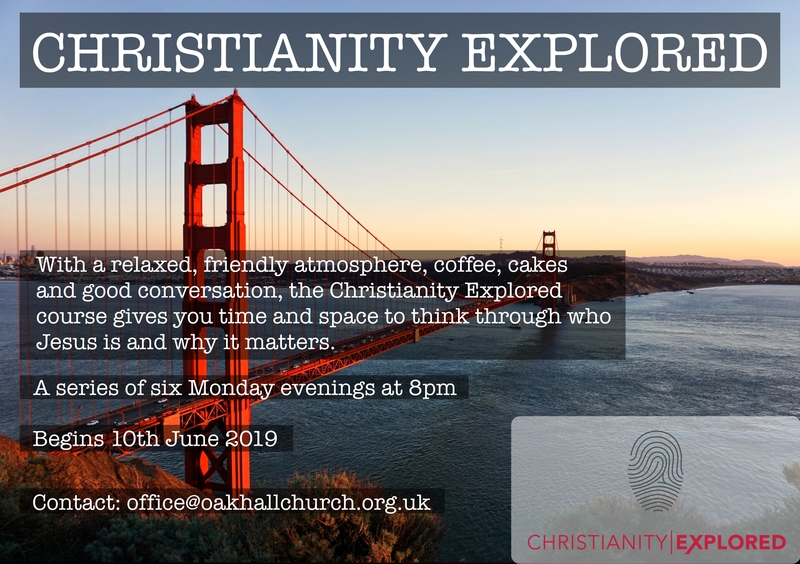 Oakhall’s Christianity Explored group gives you time and space to think through who Jesus is and why it matters. Come with questions, with doubts, with uncertainties, and find the space to discuss them in an informal and non-judgmental setting with people who care and want to get to know you.